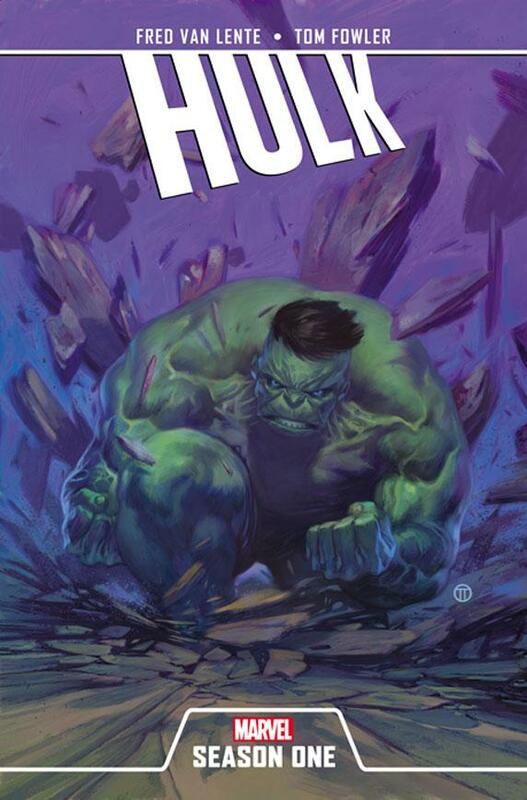 Pre-Conceived Notions: After a series of mundane releases Hulk Season One redeemed the Season One line due in no small part to the creative team of Fred Van Lente and Tom Fowler. Strange’s creative team could quite possibly equal if not exceed that book. Pak has a great catalog and Rios has never let me down so lets get to the magic (sorry)! We are thrown right in with Stephen Strange finding the Ancient One, who is said to be able to heal. They have some pithy back and forth and Strange decides to stay with him and train. We are treated to a few flashback pages — or rather, collages — on how Strange’s hands were mangled and how he found the Ancient One. We are also introduced to Wong, who thinks Strange is evil. The Ancient One decides Wong and Strange should team up, 80’s buddy cop style. Wong has great power and heart but no form or discipline, while Strange has amazing form and discipline but no heart. How will these two ever get along? What could possibly bring this odd couple together to learn about themselves? Enter the girl with the problem (80’s buddy cop style, remember). him. That’s one of the most pivotal (and forgotten) parts of Strange. He harnesses magic so supremely (sorry) because he respects it more than anyone; it gave him a life again. portrays grandiose things. It really looks like magic should, and makes you feel so small for being a mere mortal. 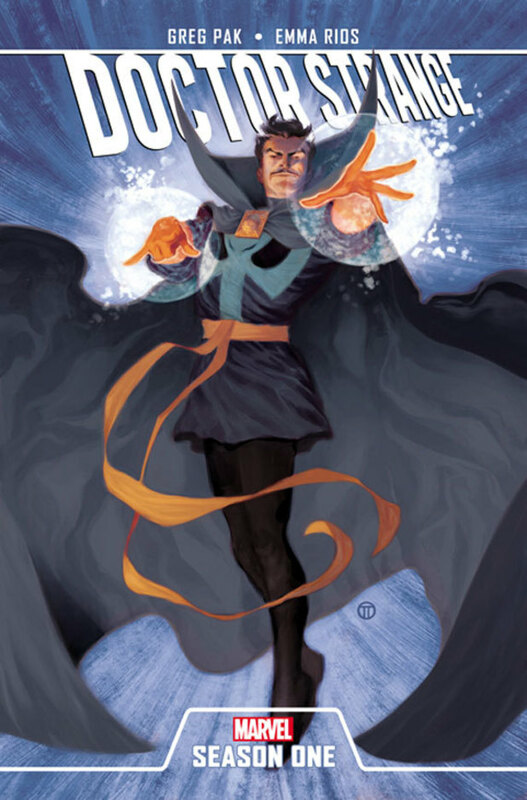 If you are a fan of Doctor Strange this book will do. If you aren’t, it won’t make you one. 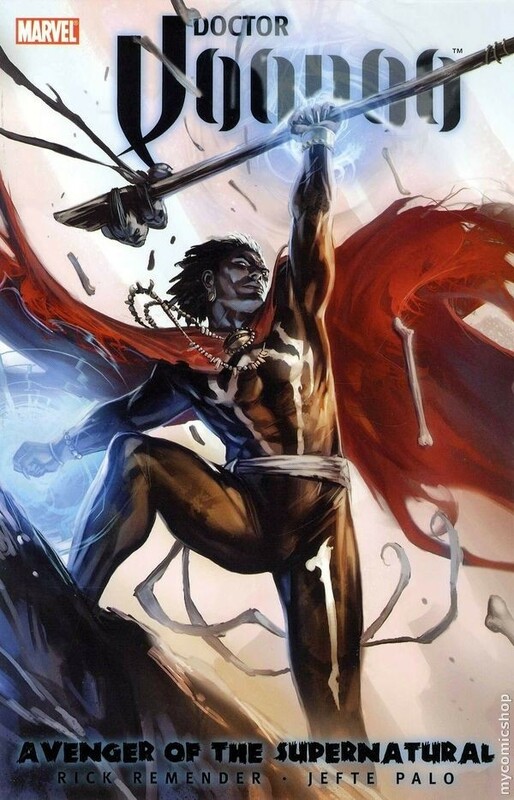 It’s not a great origin story, and it’s definitely not a Sorcerer Supreme story, but it is one of the better Season one stories and possibly the last, as Marvel hasn’t announced any up coming releases. I have enjoyed things that both Fred Van Lente and Tom Fowler have done, but I’m not a Hulk guy. I’m not against Hulk, I just feel that he’s a hard character to do right, especially as the main character. He works best in supporting roles and in small doses (which is why he worked so well in the Avengers movie, and was one of the best parts of Garth Ennis’ Punisher). Throw in that Marvel’s Season One line has been on a downward trajectory since it’s initial launch, and it leaves me wary. The book starts with a very brief run down of the Hulks origin. This is nice, because I think we all know the story at this point. We are then thrown into a crazy 50’s sci-fi epic. A.I.M. T.H.E.M. shows up as well as some super cool Soviet robots. As you can imagine, that leads to some really cool fight scenes, which Fowler just KILLS. This book has some of the best art I have seen from him. And lets not forget Van Lente. His writing is sharp. He is on his game in the Hulk-verse. My second favorite line is “Ray gun, huh? My gun shoots ray bullets!” I’ll let you find the best line of the book on your own, and he even works in a great Man-Thing reference! There is so much going on that this book never feels dull or full of filler. One (of many) plot points is the Hulk trying to rid himself of Banner and it has never been better. The reason he doesn’t want to share a brain with Banner is pretty cool and it explains why Hulk functions on a lower more animalistic level. He’s not dumb, he’s just surviving. By the end, the Hulk’s origin is twisted ever-so-slightly. The radiation didn’t make the Hulk, it just triggered a mutated gene that his body has been suppressing. I haven’t read enough Hulk to know if this has been addressed before, but it should have been. Also, Banner changes under times of emotional distress this is due to something that the Hulk does. This ties Hulk and Banner together more than anything Hulk related that I ever read, and it does it in an organic way that I feel ashamed for everyone who has written these characters before. If Van Lente wasn’t staring at an Ouroboros and watching black and white science fiction movies while writing this, I’d be surprised. This book is great! I honestly can’t think of anything that I didn’t enjoy. Well, there’s some child abuse stuff in here that almost gets heavy handed, but that’s only if I want to get really nit picky. The inclusion of a digital copy more than makes up for it. This is what Hulk should be: a crazy sci-fi (not alien sci-fi, but actual science sci-fi) adventure with heart to boot. Should I Read Batman: Earth One? Andrew’s review this week took on an interesting new format. Let us know if you’d like to see more like this in the future. Leave a comment Posted in Guest Posts, Reviews Tagged Batman: Earth One, WhyTF is it called Earth One? Friend of the Blog Andrew is many things: Lover. Raconteur. Maker of fine custom wallets*. Now we’re pleased that he can add one more thing to the list: Contributor. With Matt making the move to Saturday mornings, we’re both very happy that Andrew will be helping us out on Thursdays. After months of begging and bribing, the guys are actually letting me write something! One thing before we start. If you are at your local comic shop asking for the new Ant Man collection and they get all uppity and tell you that its not a collection but an original graphic novel, just leave. They will most likely be out of business in six months anyway…jerks. Pre-Conceived Notions: Ant Man is awesome. I have no idea why I think that or even if I have read any Ant Man-centric books before. Also, the cover is amazing. The first page is HANK PYM’S FIRST WIFE GETTING KILLED IN AN EXPLOSION! I DIDN”T EVEN KNOW HE HAD A FIRST WIFE! This tragedy causes my first problem with the book. Every three pages or so, Hank is questioning his sanity. Look, he’s unstable. We get it. But cramming it down our throats by mentioning how crazy or paranoid he is, is a little overkill. Show me why he’s a hero, not why he shouldn’t be one. 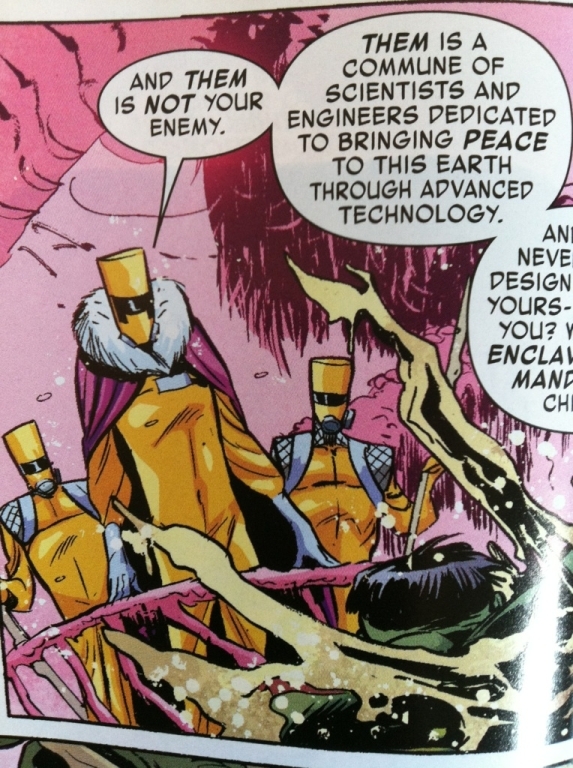 The villain is Elias Starr, or Egghead, who basically becomes an evil Ant Man, only with wasps. 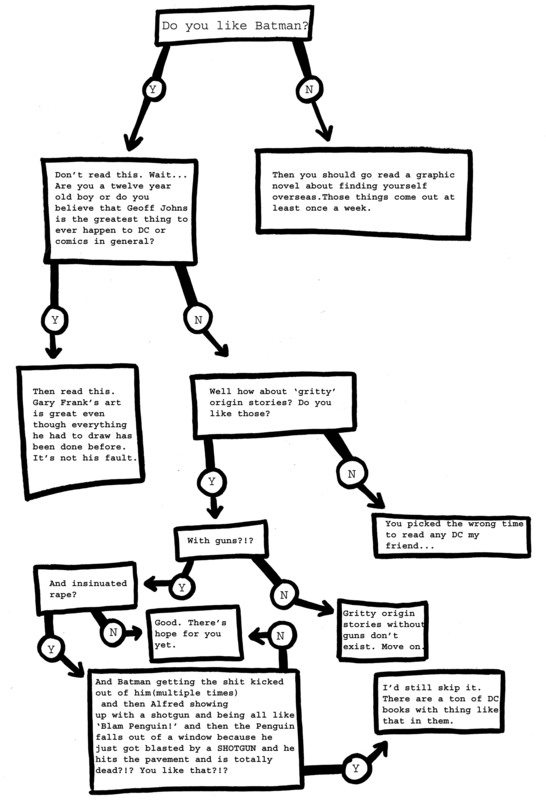 So…yeah. It would be like if Spider-Man had to fight a different kind of evil spider man, but one with tarantulas. And it’s about that interesting. It hits all the points you would expect (guy shrinks down, gets caught in spider web, fights spider, controls some bugs) but misses all the points that you would want, like heart or emotion. 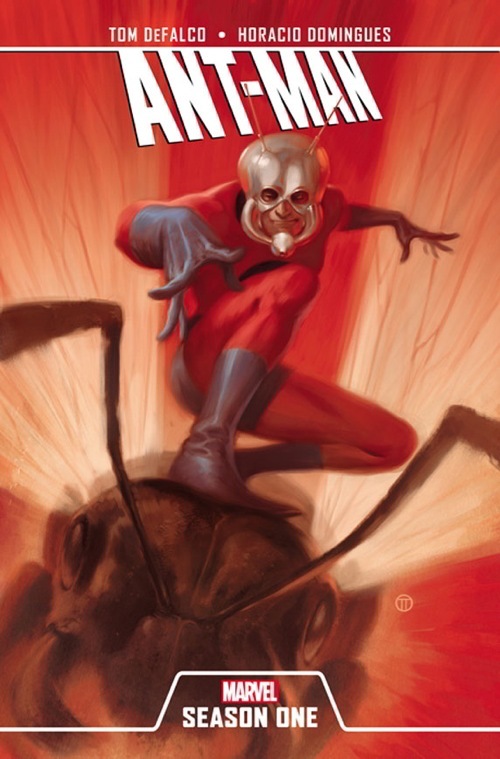 Another problem with this is that Ant Man becomes Giant Man to fight giant bugs. The book is called Ant Man, SO USE ANT MAN! To be fair, I have never read the early issues of Ant Man so he very well may have become Giant Man early on, but still…if you can’t tell an interesting story about a dude that turns himself small, then maybe you shouldn’t be writing a book about Ant Man. This book does give a fair background story to the character. I am a sucker for dudes fighting bugs. The art is too cartoony and seems unfinished. There are a lot of modern day and meta references that took me out of the story (Facebook, Bernie Madoff, referring to Ant Man’s costume as “a reject from some cheesy summer blockbuster”, and the line “you may look like a comic book character…” in which they left out the ‘a’. I only mention that because if I’m paying $25.00 for something, I expect it to be edited properly. The climax is confusing. I couldn’t tell who’s growing big and who’s shrinking down or even when they change size. I was really looking forward to this and it left me feeling…meh. It’s not a bad book, but it’s also not that good. The best you could hope for is paying someone who’s buying a hard copy of the book $5.00 for their digital download and reading it that way, then you might not feel so cheated. Every Marvel Season One GN has been just a little worse than the one before it. I hope that changes when Greg Pak and Emma Rios hit Doctor Strange and Fred Van Lente and Tom Fowler do Hulk, but we will have to wait to see. Friend of the Blog David is probably — aside from our families — the only other person Matt and I still see that we’ve known as long as each other. It only makes sense, then, that he be our first guest poster. He emailed us the other day to tell us about this new comic he stumbled across, and he was so convincing we asked him to write something up. He’s Bear, He’s Bear…As he faces the hyper-violent antics of his owner’s cat Looshkin. 3+ feature and backup stories! Fun crammed into every available space (and sometimes orifice)! Bear is the first published work of Jamie Smart. The comic ran 10 issues from 2003-2006, published by Slave Labor Graphics (also the publisher of one of Bear’s inspirations Milk & Cheese). It’s since been collected into two trade paperbacks and released online (without the backup stories). And more might be coming.